How to Find the Location of an iPhone or iPad without iCloud.com? – At present, one of the leading mobile phones is the iPhone and whereas a huge number of people using this smartphone. The iPhone consists of inbuilt support for tracking your iPhone device via iCloud, however, the service is restricted and there is no or any kind of backups when it’s a failure. Luckily, the App store features numbers of application that offer some additional features on tracking functionality when augmenting iCloud tracking at the instance of your iPhone device is stolen or else lost. GPS tracking, these kinds of apps provide a web interface from where you can remotely push notifications to the device, take a picture or even you can play alarm tones using the forward- facing a camera. This is the first method that guides you to find the locations of an iPad or iPhone without the help of iCloud apps. In this method, Prey application software used to find the correct location of an iPhone or else iPad. However, prey is a freemium of web service mainly used for monitoring as well as tracking smartphone, electronic gadgets, computer, and Laptops, commonly used when the device is theft. The server hosts this service over the internet and it is the open source software apps. The host signals the agent, improving it to send replay without data regarding its current locations as well as triggers on other actions. You can log into the official site of Prey, when you wish to track your iPhone device when it’s stolen or theft or some other reasons. Here are few simple and easy steps helps you to find out the location of an iPhone or iPad without a help of iCloud by using Prey software. Initially, make the search for “Prey” in the App Store, click on “Free”. After finding the proper versions, and then click on “Install” to start installing Prey software apps on your iPhone. Now, you have to enter your App store password to verify the download. Now, click” Prey”, an icon on your iPhone device on a home screen and choose “New user”, enter your user account details and then click on” create my account”. Click “Ok” button to allow Prey apps to use your iPhone location and then now click “OK” to permit Prey to send you notifications. Hence, these both permits when it’s the need to track your iPhone. Now, Navigate to Prey project homepage and sign in by using an account on credentials you configured in the app. Finally, track your iPhone by choosing it from the “Devices” list, now setting the status slider as “Missing” and then now click” Run Prey”. This is the second method that helps you to find out the location of an iPhone or iPad without an aid of iCloud. Here is the step-by-step procedure; you have to perform in order to find out the location of an iPad or else iPhone device easily. Search for “GadgetTrak” in the App Store, click the tap the app price, as well as then click “Install” to start to installing GadgetTrak on your iPhone. Hence, you have to type your App store password to authorize the download. Now, click on “GadgetTrack” icon your iPhone home screen and choose” Create an Account” enter your account details and click “Submit” button. Open, your email inbox, select the messages you receive from GadgetTrack, and then click the verification link in the message to finish the registration process. Now, Relaunch GadgetTrak on your iPhone, and log in to your account with credentials you configured as well as then set a four-digit security secret PIN number for using GadgetTrak. Hence, now Navigate to the GadgetTrak homepage, choose the iPhone, and then log in using your GadgetTrak user account credentials. Tap, “Enable Tracking “button to enable device tracking for your iPhone. A map displaying the recently locations of your iPhone will display on the screen. Hence, this method will be helpful for you to find the Location of an iPhone or iPad without iCloud. Follow the steps one-by-one and don’t change the order of the steps and do the process step-wise. 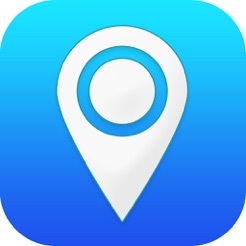 The third method is to find the location of an iPhone or else iPad without using iCloud by using Device Tracker Pro. Hence, this is the simplest method for you to follow and to execute. Here are the steps that guide you to find your location of an iPhone device easily. Search for “Device Tracker Pro “in the official App Store, click on “Install” to start the installation process of Device Tracker Pro on your iPhone device. Now, you have to enter your App store Password to verify downloading of software app. Click the” Device Tracker Pre” on a home screen of iPhone device. Now, log in to your user account by using your Google account credentials. In case, if you do not have a Google account, then you are new and have to register your account for free from a web browser. Navigate the Device Tracker Pro homepage, click” Track” and then login by using your Google account credentials. However, to view the current location of your iPhone device, just choose it from the device listing. Hence, this is the last method that helps you to find the location of your iPhone or iPad without using iCloud service. Hence, these above-mentioned methods work well and produce the results effectively. Therefore, choose any one of the above-defined methods and start following the process. Note these methods, so that it will be helpful for you when your iPhone or else iPad device is lost or else stolen. Hence, follow the procedure properly to find the Location of an iPhone or iPad properly. How to Add Multiple Gmail Accounts to iPhone or iPad? How to Enable/Disable YouTube Notifications on iPhone, iPad?